Once again Marrakesh will be the stage for the WSOP Circuit, with 10 Ring Events and one champion ring. The Casino de Marrakech hosts for the fifth time this major event, whose prestige and quality is universally acknowledged. This significant partnership consolidates the Casino’s leading position on the Poker scene. 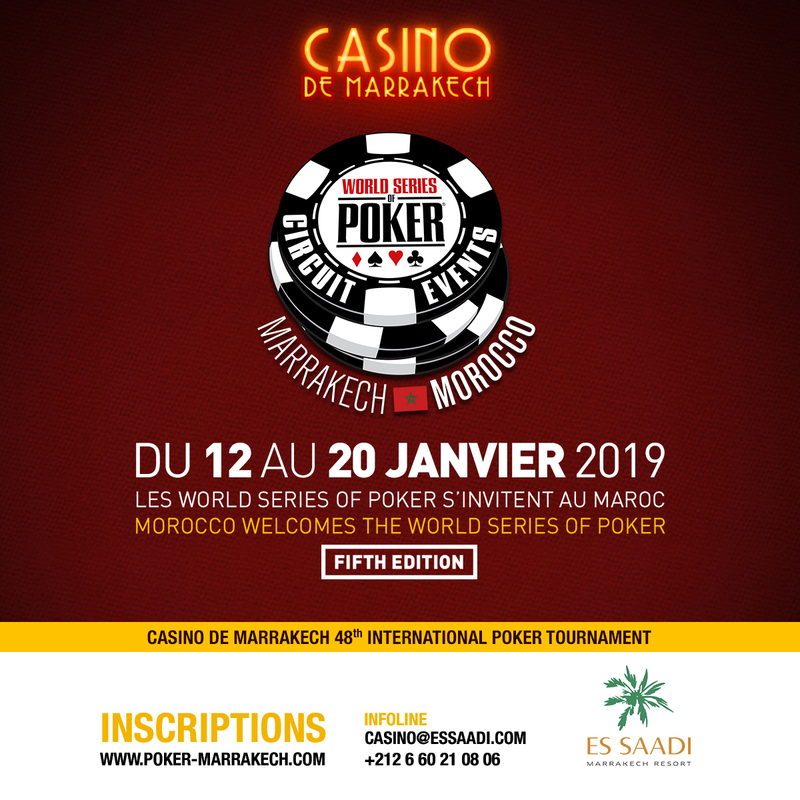 More specifically, the Casino of the Es Saadi Marrakech Resort will accommodate a stage of the WSOP Circuit Events season for 10 days: from January 12th to January 20th, 2019! This stopover of the WSOP Circuit at the Es Saadi Casino consists in 10 Ring Events, including a Main Event at 15 000 MAD (1 350€) and a High-Roller at 20 000 MAD (1800€). No Limit Texas Hold’em tournaments and other surprises are scheduled for this event that will be amazing ! 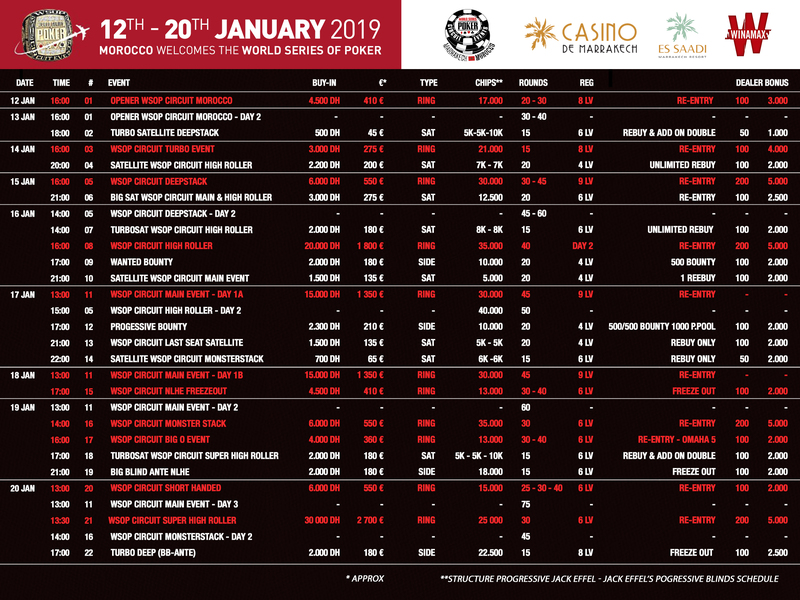 Like every other WSOP circuit event, 2 players will represent Marrakech at the grand finale of the WSOP Global Casino Championship (1 000 000$…) with an admission fee of 10 000$. The Main Event winner of the WSOP Circuit Event and the Leaderboard winner of the Ring Events will be selected to be offered the buy-in at 10 000$.